Safety net for your 12ft. Hop 360 trampoline. Textile net without net posts for round 12ft. Hop 3.66m trampoline. France Trampoline has a wide range of spare parts such as the 12ft. Hop 360 blue safety net, the net is part of the safety enclosure. If you only have the net to change and not the steel net posts, we offer a safety net sold separately. 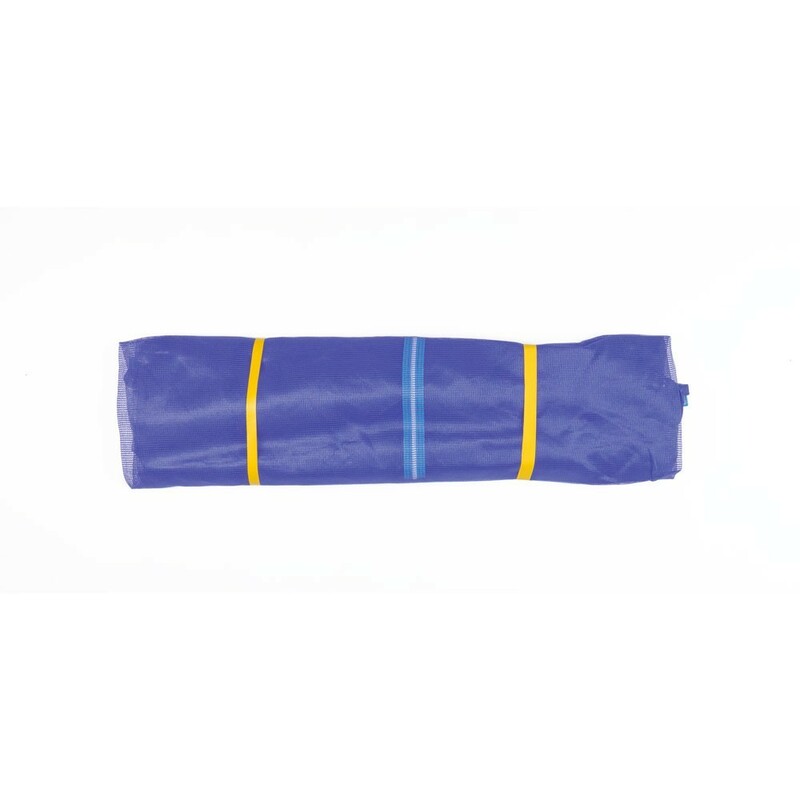 This textile net will replace the damaged part and give your trampoline a new safety element, at a reasonable price. - This textile net is suitable for the 12ft. 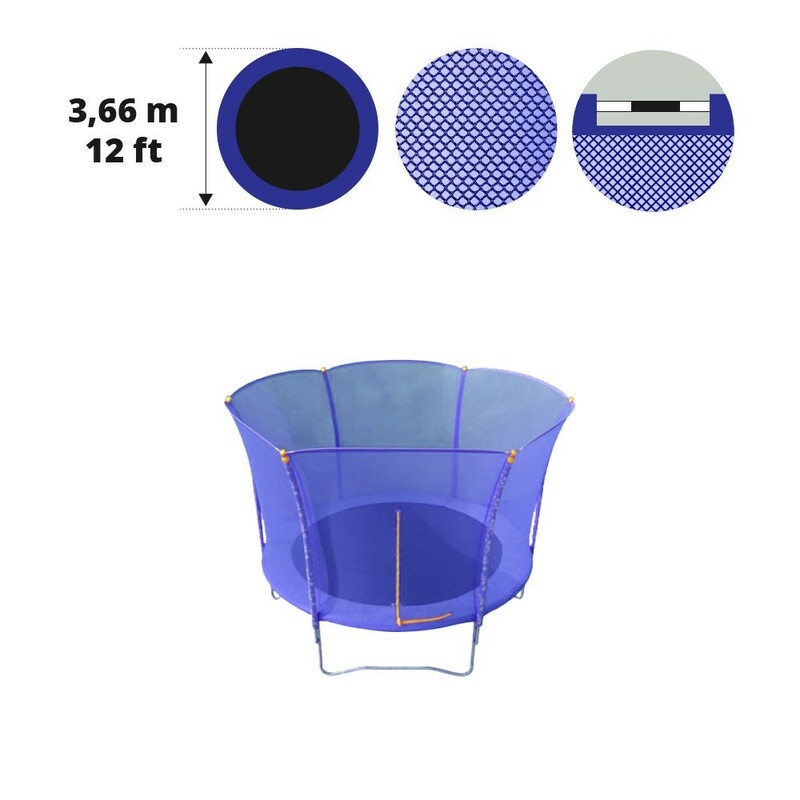 HOP 360 trampoline, with an exterior diameter of 3.66m. This trampoline is equipped with 8 outward curving posts creating a flower shape. - The fine netting is in a resistant 130g/m² polethylene. This material has received an anti-UV treatment, which will protect your net from any severe weather conditions. And children will not be able to get their fingers caught. - Entrance to the trampoline is through an L-shaped zip door, that can be opened on the inside and the outside. - This trampoline net is attached to the top of the posts by a fiberglass rod frame that you should have from your old safety enclosure. At the bottom the net is held by elastic cords that hook on the spring hooks. - This safety net is compatible with the Hop 360 but also any trampoline with a 3.66m width and 8 outwards curving posts. This safety net is not compatible with straight net posts. 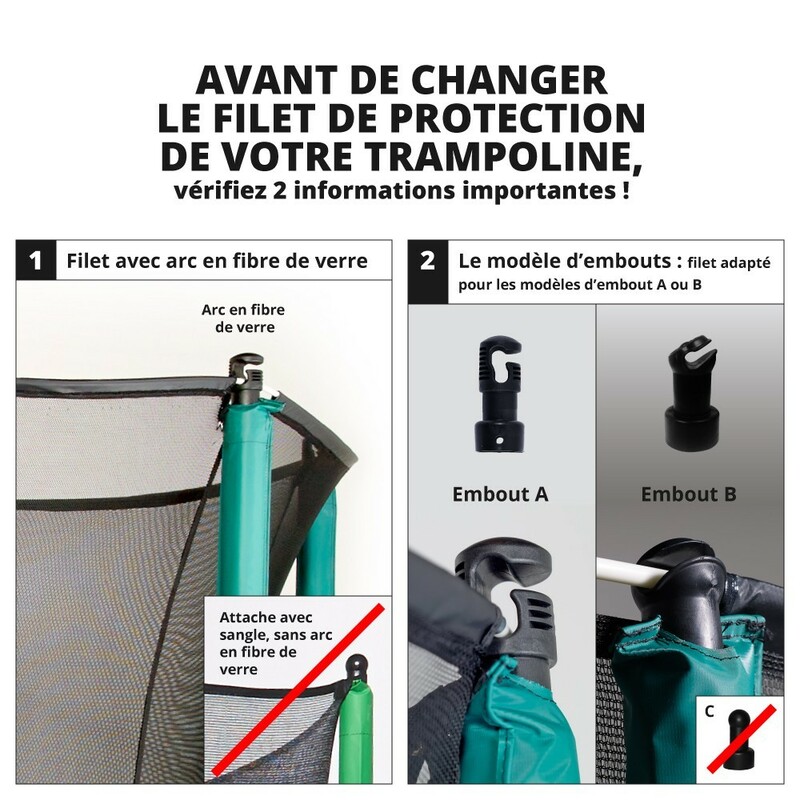 If you have any queries, contact us on +33 (0) 5 56 36 04 62 or by mail contact@france-trampoline.com.